Microdermabrasion facial is a deeply effective treatment for renewing a fresh, young-looking glow to your skin. Microdermabrasion can best be described as plastic surgery without the plastic… or the surgery! It’s one of the simplest and least disruptive skin treatments and is ideal even for people with sensitive skin. The microdermabrasion technique works with microcrystals, which are hard enough to disrupt unwanted tired skin cells that cause dull looking skin. But small enough not to do any damage or even cause discomfort or pain. The technique involves propelling the microcrystals across the skin’s surface, removing only the top layer of skin cells. This technology reveals new, living cells leaving a healthy glow. The epidermal layers of the skin are rejuvenated leading to collagen production and plumper skin. Microdermabrasion treatments use a minimally abrasive instrument to gently remove the top layer of the skins cells. A facial is included in this treatment, see below for what is involved for a facial. This type of skin rejuvenation is used to treat light scarring, discolouration, sun damage, and stretch marks. Improve hyper-pigmentation (patches of darkened skin). Any discomfort experienced as part of microdermabrasion is usually short-lived. This can include redness and swelling, which should subside within a few hours. The pressure used is gradually built up through sessions. In some cases the skin can be flaky and dry for several days. Bruising, although very unlikely, can occur from the suction and may last several days. Your skin will be more sensitive to sun exposure. Be sure to use sunscreen, especially immediately following a microdermabrasion session. You will leave with a SPF sun block on your face. You may experience some slight swelling, erythema, dryness or itching of your skin, this is unlikely but if this is to happen apply a cold compress to the area and keep hydrated. Avoid make up for 24-48 hours, avoid UV exposure for upto 7 days, avoid heat treatments and self tan for upto 48hours. We recommended a course of 8-10 microderm treatments. Treatments can be done every 7-10 days. Hydrating water based cleanser to use daily, sensitive toner to use daily and a hydrating non perfumed moisturiser with SPF 30 to use daily. 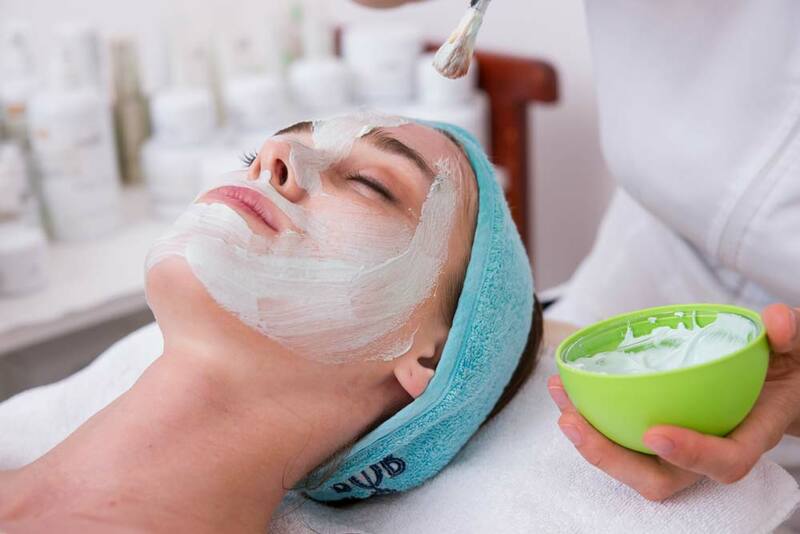 Facials not only pamper your skin, they completely relax your mind and body as well. 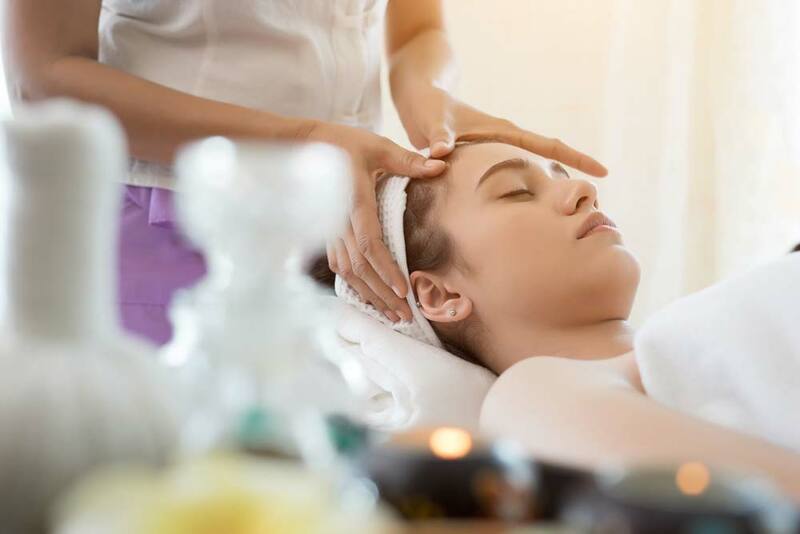 We have the perfect relaxing setting for your facial needs, with dimmed lights, comfortable bed, soft music and the sound of a relaxing water feature, lay back and let us take care of you and your skin. A treatment customised to your individual needs. Based on Dermalogica “face mapping”, the treatment includes full skin analysis to identify your skin type and any problem areas that require additional focus. This is followed by a deep cleanse, toner, exfoliation, masque and moisturise using Dermalogica products specifically suited to your needs. We also use collagen lip masks as an added treatment while your face masque is on, the collagen lip masks are specially formulated to have the perfect blend of collagen, amino acids and natural fruit extracts, this collagen lip mask softens, moistens and repairs your lips to give them their natural elasticity back. Please come with your face free of makeup. Immediately after your facial do not touch your face, use any harsh products on your skin, use any uv lights/sun beds and do not have any heat treatments. To keep your skin looking and feeling fresh, the day after your facial please cleanse, tone and moisturise your face., also make sure to clean your face daily especially after work and exercise. It is a good idea to maintain your facials with a 4 weekly treatment. We use 3 different types of Linea Skin Peels, light medium and strong. We will determine which skin peel is suitable for your skin type. Chemical peels involve the application of a chemical solution to the surface of the skin. This allows for the careful removal of its outer layers.The amount of skin being removed will depend on the peel being used, the strength and how long it is left onto the skin. Chemical peels come in different strengths ranging from superficial or light peels. These have minimum down time and can be done in a lunch hour. Through to deep peels which can give dramatic results but will have an equally dramatic healing process and more serious side effects. Courses of treatments are usually required with light peels. They can also be a great way of giving your skin a boost before a special occasion. Almost anyone can benefit from a chemical peel. Peels can improve the look of your skin dramatically and leave you looking younger and healthier. If you have any of the following skin concerns then you could be a candidate for a peel. If you have a history of poor healing of the skin or keloid scarring you may not be suitable for a peel, especially for deeper peels where scarring is a risk. Care needs to be taken as skin will burn/damage more easily in sunlight and be more sensitive. Avoidance of the following for 7 days will give best results.